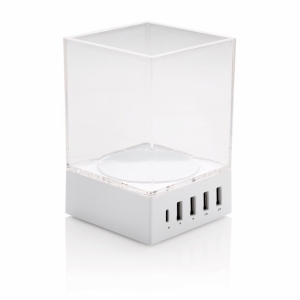 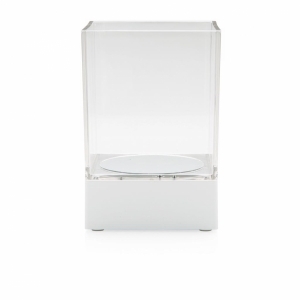 Keep your desk clean and your devices charged with this modern desk charger. 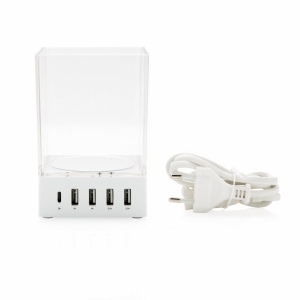 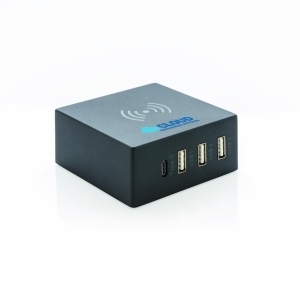 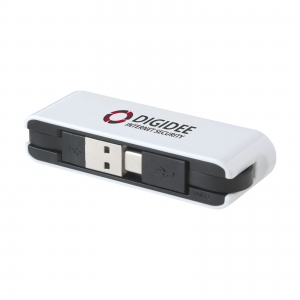 Comes with 4 USB(4.8A) ports and one type C 2.0 port to charge the latest generation mobile devices. 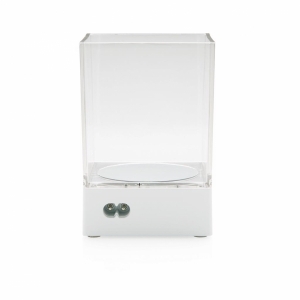 With blue indicator light to indicate the item is charging. 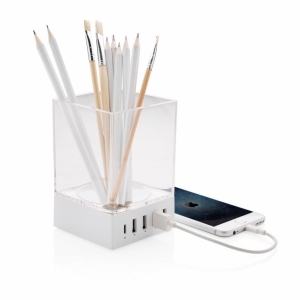 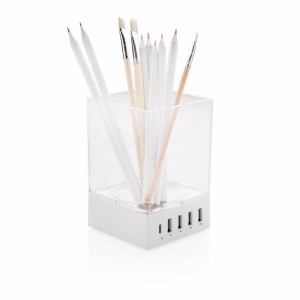 The pen holder is made out of PC and the charger out of fireproof ABS. 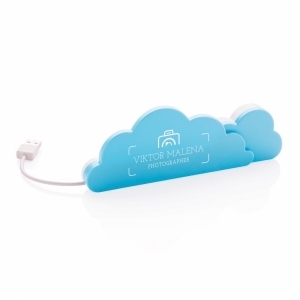 With 1 metre EU charging cable. 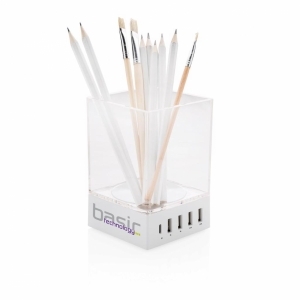 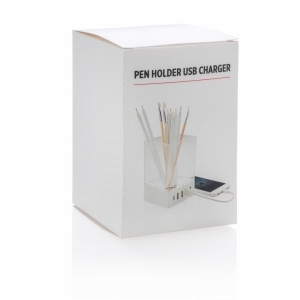 To order an unprinted Pen Holder USB Charger, please complete the details below.